So you want to enter the next Gerber baby contest... If you're thinking about 2018 then you've missed the deadline. The 2018 Gerber baby contest was launched October 1, 2018 and the deadline to submit your baby's photos via Instagram with the hashtag #GerberPhotoSearch2018 was October 20, 2018. Don't be so disappointed because you can learn a lot about the next one and be prepared for launch. Don't miss again. Here's how you can stay on top of the game and don't miss another annual Gerber baby contest again. We suggest you subscribe to our "FREE Baby Stuff Newsletter" today. 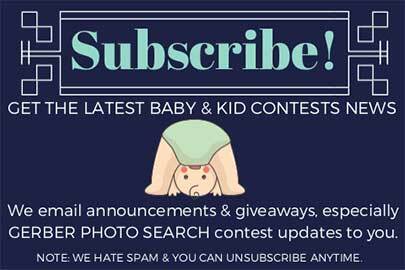 It's a free service where we email out to our many thousands subscribers about baby contests and especially Gerber baby contest. For example, when Gerber announces the 2018 Gerber baby contest winner then we will email it out to let you know. By the way, winners are usually announced sometime in the beginning of the following year of the contest. Subscribe to Be the First to Know About the Next Gerber Baby Contest. Yes! Please sign me up. I want the free alerts for baby contests and also anything related to baby stuff. Gerber in search for the next Gerber baby and your baby could be it. If you win the 2018 Gerber baby contest then your baby will be name 2019 Gerber baby, as the 2018 Gerber baby Lucas Warren will pass on to the next winner. Your baby will not only going to win the title but also a whopping $50,000 cash in a form of a check. If you already have an Instagram account then it's easy. If you don't then you will need to create one. Go to Instagram and setup your account right away. Your Instagram account must be set to public and not private. So if your account is currently set private then please set it to public during the contest. Once your account is set to public then you might upload your baby photos on Instagram with the hashtag #GerberPhotoSearch2018. By the way, you can upload up to 10 different photos of your child(ren). Your photo must be taken within 30 days of submission. Each entry or photo may only include one child. You may enter more than one child if you have children within age requirement. You may enter up to 10 unique photos per child. You must be 18 of age and legal resident of the 50 United States, Washington D.C., or Puerto Rico. 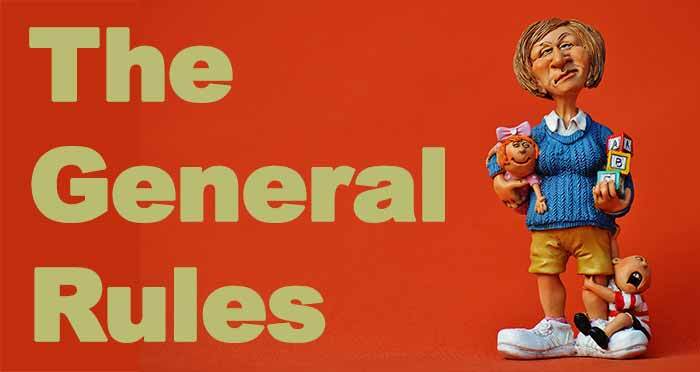 You also must be a legal guardian of the child(ren) in the photo(s). Age requirement: 1 day to 48 months old. There are no sign-ups or purchases to enter Gerber baby contest. You cannot use a professional photographer. You cannot submit a collage image. You cannot use multiple photos make into one image and submit it as a photo. You cannot use multiple Instagram accounts to enter multiple times or as multiple entrants. You cannot submit naked photos. Your child(ren) must be clothed appropriately at least with a diaper. For more details get the full Gerber baby contest 2018 rules here. When will Gerber announces the winners? 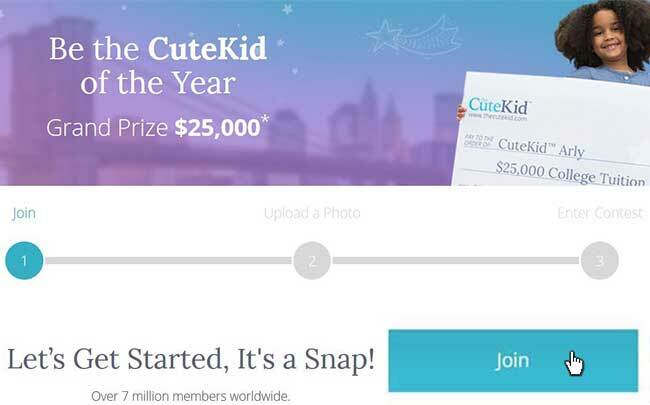 How Does the Gerber Baby Contest Work? This is how the Gerber baby contest usually work. The Gerber baby contest 2018 will launch some time in the fall. There will be a photo submission period, follow by a judging period, and finally Gerber will crown the winner in the beginning of 2019. And the baby contest grand prize winner will be named 2019 Gerber baby. That pretty much sum up how the Gerber baby contest usually work. As you've read earlier that photos submit to Gerber can only be taken no longer than 30 days prior of submission. That's a big deal that you might overlooked. To farther explain and emphasize on how important that is. If you have a really adorable picture of your baby right now and you think that this very cute photo will have a chance to win the Gerber contest then you don't want to keep that until the Gerber baby contest start again. Usually Gerber baby contest submission periods are some time in the fall. By that time come around your photo right now will be disqualified. While you're waiting for the next Gerber baby contest, don't waste your cute baby photo now. Submit it to other baby contests out there. Like, the Cute Kid is a good start. You might not thought of this yet, but this will give you a little experience with baby photo contest. Learning how to win the cutest baby contest is important. Why not take this opportunity to do so? Imagine, by the time Gerber launches the next Gerber PHOTO SEARCH you're well prepared and know exactly what to expect.